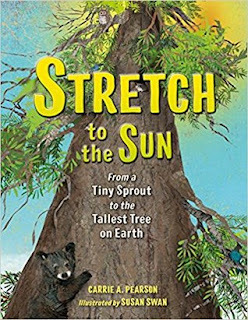 Upon opening this gorgeous science picture book, readers are transported into the Redwood Forest. 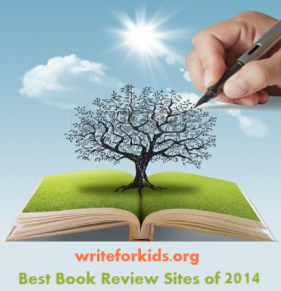 The narrative writing style reads like poetry as the author describes the sights and sounds of the forest. sprouts from the stump of the fallen tree. The sprout needs light, it stretches toward the sun. Lush illustrations depict the trees and animals found in the Redwood Forest. Swan uses hand painted papers, found objects and Adobe Photoshop to create detailed, textured illustrations that reflect the richness of the forest canopy. 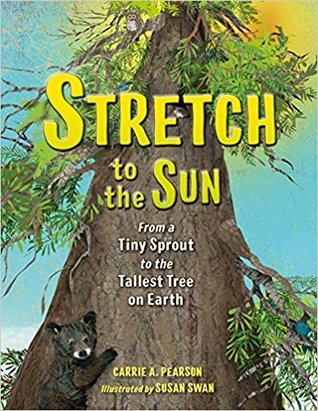 Stretch to the Sun is both a tribute to redwoods and a call to action to protect the trees and their habitat. Don't miss the back matter containing more detailed information about conservation efforts. Thank you for your review, Cathy. 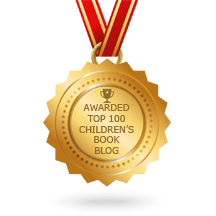 So happy to share this book with readers.